By becoming a member you will make a huge difference and by your help and support, you will enable us to be the organization that we are ~ an organization that truly cares and does whatever it takes to go the extra mile and impact this world. You will have the satisfaction that comes from knowing you are actively involved in helping horses nationally. 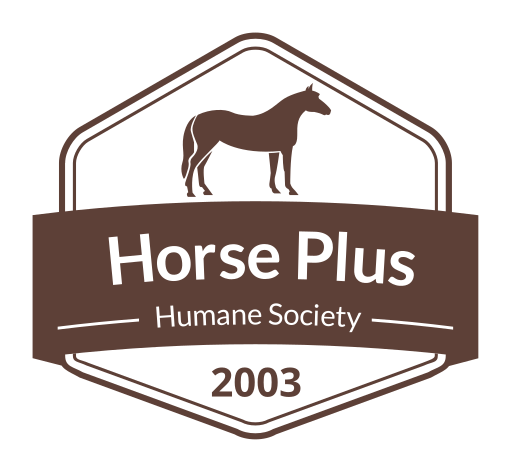 Horse Plus Humane Society encompasses a broad area and reaches many areas with great needs. We are not a small regional horse rescue, we have 3 shelters across the United States and many national programs, we are effecting needful changes across the nation. Be a part of making a national difference! Your membership will make benefiting animals a reality on a large scale in the United States and make a lasting impact for the long term. By becoming a Horse Plus Member together we can accomplish more and make an even greater difference. Different membership levels have various benefits, but all memberships help us in a significant way. Your membership can be the difference between life and death, rescue or slaughter. Become a member today! We will never sell your information to anyone! When you become a Single Star Member you will receive (if you wish) our basic membership kit which includes a personalized Membership Wallet Card, complimentary E-Adoption of one of our resident horses, informational brochure and a magnet. With your Double Star Membership you will receive (if you wish) a personalized Membership Wallet Card, complimentary E-Adoption of one of our resident horses, Horse Plus travel mug, information brochure and a magnet. A Triple Star Membership gives you (if you wish) a personalized Membership Wallet Card, a Horse Plus Member T-shirt in your size, Horse Plus travel mug, complimentary E-Adoption of one of our resident horses, information brochure and a magnet. 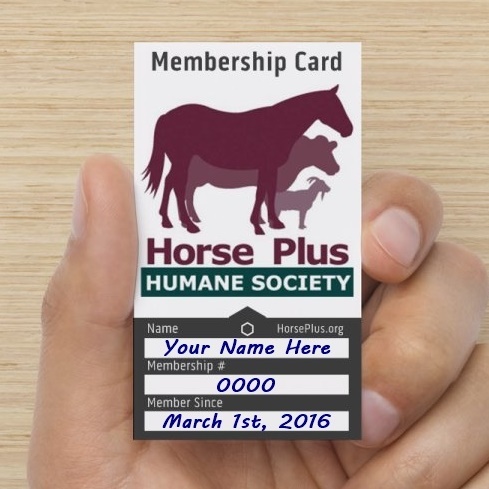 When you become a Four Star Member you will receive (if you wish) a personalized Membership Wallet Card, a Horse Plus Member T-shirt in your size, 9″x7″ Member Plaque, quarterly shelter reports, Horse Plus travel mug, complimentary E-Adoption of one of our resident horses, free horse Adoption and Surrender fees*, information brochure and a magnet. A 5 Star Membership gives you exclusive influence on the direction and goals of Horse Plus as a member of our Advisory Board (if desired.) As 5 Star Member you will also receive (if you wish) Board of Directors Meeting Minutes, a personalized Membership Card, a Horse Plus Member T-shirt in your size, 9″x7″ Member Plaque &/or a 9″x12″ Advisory Board Member Plaque, quarterly shelter reports, Horse Plus travel mug, complimentary E-Adoption of one of our resident horses, free adoption and surrender fees* at our shelters, information brochure and a magnet. It may take up to 30 seconds to process your membership signup once your press the button. You will be redirected to a success page once your membership is processed.